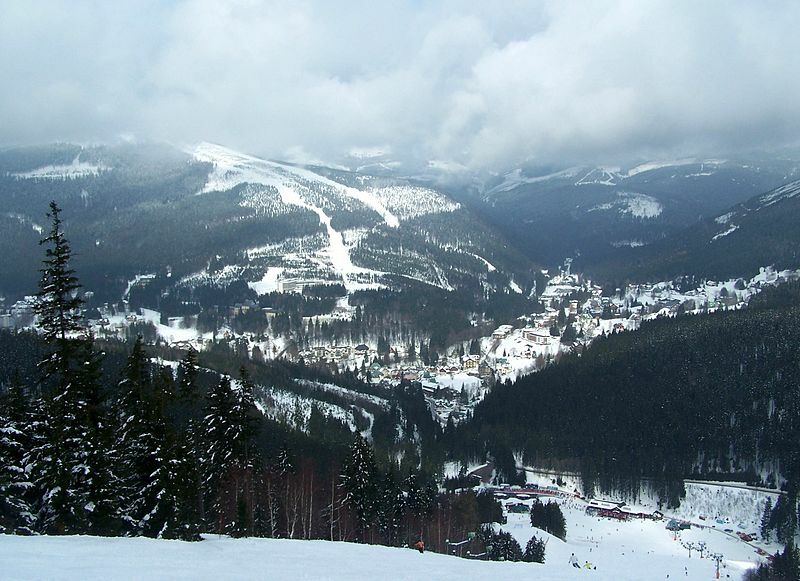 Planning a ski trip to Czech Republic? Use our comprehensive guide to find ski resorts in Czech Republic.Use the list below to find all ski resorts in Czech Republic. Click on the specific ski destination to get more info. On the list you can find information about mountain stats, snow reports, weather forecast, lift info and slope statistics. Let us help you to find your next favorite ski resort in Czech RepublicWhere should I go skiing in Czech Republic? If you’ve asked yourself this question while planning a your next ski holiday, then our big database is here to the yo help you. Find the best ski destinations in Czech Republic and start planning your vacation right here. The ski season in Czech Republic is one of the best in the world. Whether you’re dreaming of wide snowy slopes with white perfect snow or deep wild powder. Czech Republic has it all! Go to Czech Republic to ski and you will experience all that any skier dreams about. Lots of sun, deep snow and good beer and world-class après ski.Czech Republic offers many different ski resorts and destinations. Czech Republic has everything from small cozy mountain villages to large modern cities with smart shops and centers. Lots of destinations also offer ski-in ski-out, which is ideal for families with children. If you are for group holidays, Czech Republic is ideal. Many ski resorts in Czech Republic offer great cozy cabins, apartments or hotels. Most people know the Czech Republic for the Skoda and a comprehensive beer production. Fewer know the country for its mountains and opportunities for skiing. Despite the fact that the czechs have actually created a number of excellent ski areas throughout the last decades, where several places have been able to modernize the lifts for the benefit of the skiers. It is still cheap in the Czech Republic. In most areas you can generally acquire a ski pass for an adult for six days for less than 120 €. Similarly, accommodation is also one of the cheapest to find in skiing in Europe, as well as the price-conscious consumer will also be looking forward to over the prices of restaurants and bars. Common to the three areas is that you can not compare them with either French Val d’Isère or Austrian St. Anton. In addition, there are simply no high mountains in the Czech Republic. The destinations in the Czech Republic are aimed at those who require a little less pistekilometer. It may be the beginner, the explorer or even the experienced runner as well as the family, for example, where the children have to ski under the feet for the first time. The height difference in the areas is generally 400-600 meters, and you reach almost 1300 meters in several places. There has been a lot in the Czech ski areas in the last twenty years. Large resources have been invested in the ski areas, and you can hope that the development continues over the next decade. A cautious prediction could be that more price-conscious Danes will set the GPS on Cerna Hora or Spindleruv Mlyn in the coming years, although it takes time to change the Danes travel habits. If some resorts are connected to other resorts in networks* and have combined their names, Ski Resort Statistics will split these up anyway. For example, with “Flachau / Wagrain / Alpendorf” in Czech Republic. On our website we have divided these resorts individually: “Flachau – Flachau / Wagrain / Alpendorf“, “Wagrain – Flachau / Wagrain / Alpendorf” and “Alpendorf – Flachau / Wagrain / Alpendorf“.